When logging in to Connect you will be taken to the dashboard page. From here you can navigate the rest of the site. 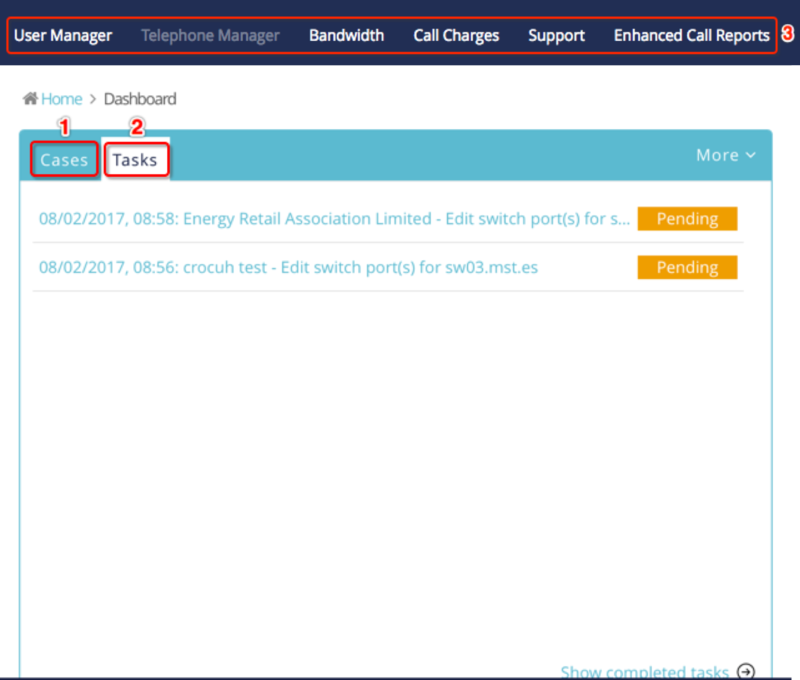 On this page you will see a table with tabs labeled Cases (1) and Tasks (2). The Menu bar (3) is to the left, which can be minimised by clicking the square (4) at the top. Cases - view existing and past support cases. Tasks - a list of tasks that Connect has been set.